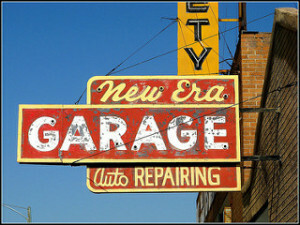 For most of us, hiring a good mechanic comes down to one crucial trait – trustworthiness. Hiring the wrong mechanic can lead to financial losses, injuries, and even deaths. Yet, according to one local news station, auto repair fraud is far too common and far too easy to cover-up. As a San Francisco auto repair fraud injury law firm, we fight for those who simply made the wrong choice (an easy error to make) and who paid a steep price for lies told by so-called “experts” in cars and safety. Last Friday, NBC Bay Area told a frightening tale of a visit to the auto shop gone wrong. Reporters spoke to a San Jose family who hired a local shop to make some repairs to their SUV. After noticing strange noises upon steering after the shop worked on the vehicle, the family eventually learned that the shop’s employees had gone to great lengths to hide more than $11,000 worth of damage done to the SUV allegedly while in the store’s care. Eventually, one employee broke ranks to tell the family that the SUV had crashed several feet off a mechanical lift. The employee said manage ment ordered them to fix the car as well as they could and return it to the family without saying a word about the incident. NBC’s report suggests that numerous consumers have said that the California Bureau of Automotive Repairs (“BAR”), an agency meant to ensure shops comply with state regulations, provides little justice for consumers and the family involved in the events above say this lax oversight puts people at risk. According to NBC’s investigation, over the past three years, fewer than 3% of complaints involving auto repairs led to any enforcement action due in part to the BAR’s limited authority to issue penalties. A Bureau executive explained that the law only permits them to issue fines or citations against unlicensed shops or violators of the smog-check program and said all they can do is refer victims of billing or repair frauds to the court system, referrals that generally only occur after a string of related incidents. The BAR does have a mediation process that helps consumer recover some $5 million annually, but the system keeps the complaints secret even where the BAR believes fraud occurred. This, in our view, is a recipe for more fraud. The Coalition Against Insurance Fraud calls itself “America’s only anti-fraud alliance speaking for consumers, insurance companies, government agencies and others.” In a section dedicated to Auto Repair Scams, the group suggests auto repair fraud can put life and safety at risk (citing one car’s steering assembly allegedly “fixed” with nothing more than a hanger! ), stress, wasted time, and inflated insurance premiums for all honest drivers. Of course, that’s in addition to the financial costs incurred by those who go outside of the insurance system for repairs. The Coalition cites several scams used to defraud both consumers and insurance companies. These include: Padded bills that may go well beyond an initial estimate; Unnecessary repairs for non-existent problems; Use of counterfeit, substandard, or used parts while charging for new parts (note: in some instances, used parts are appropriate but dishonesty surely isn’t! ); Performing shoddy repairs or even none at all; and Disingenuous “specials” used to hook customers. If you’ve been the victim of auto repair fraud in Northern California, particularly if you believe that the fraud led to serious injuries or loss of life, please call our office. As an auto repair fraud law firm in Oakland, San Francisco, and Santa Rosa, we are prepared to battle shifty repair shops, disingenuous insurance companies, and even disreputable acts by state agencies. Call today so we can begin investigating your claims.